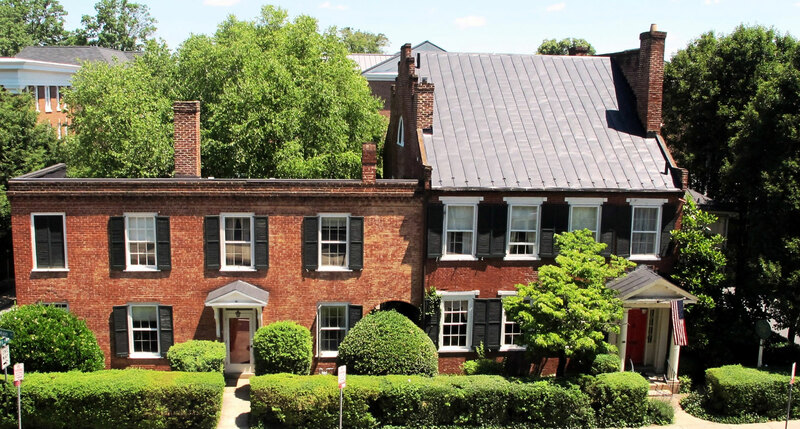 The Dinsmore is centrally located in the heart of Charlottesville, surrounded by enough things to do that you couldn’t possibly visit them all during a single visit… or even two visits! Wineries, Monticello, the Historic Downtown Mall, and the University of Virginia are some of the most popular (and closest) activities. Walk if you prefer, drive if you like… but some guests enjoy the free trolley as their way of getting around. The trolley picks up every 15 minutes one block from the Inn. Some must-see stops for your visit to our beautiful town. 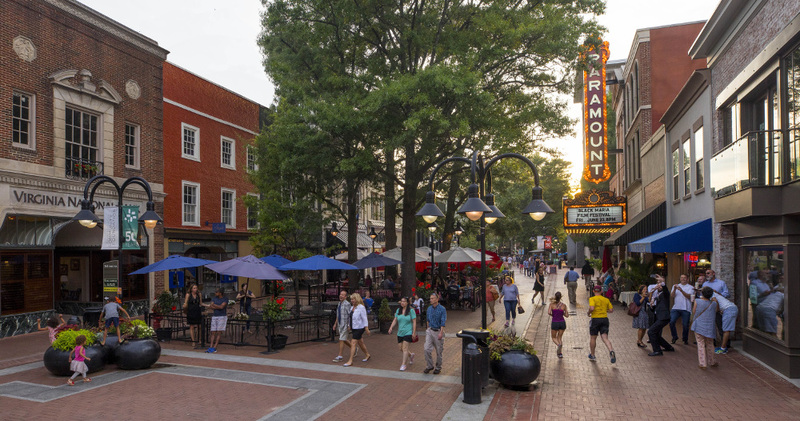 Located one-half mile from The Dinsmore, the Historic Downtown Mall is the refurbished urban center of Charlottesville. The mall is pedestrian only and features many restaurants, shops, boutiques, as well as theater and live music options. April though September, Friday’s After Five provides a festive atmosphere to kick off the weekend. Historic Walking Tours of the Downtown Mall are available on Saturdays. For dinner on the mall, your innkeepers recommend ZoCaLo (South American), C&O (fine dining), and The Downtown Grille (steak). Between the Downtown Mall and The Dinsmore is a stretch of locally-owned restaurants and shops that make up the West Main Corridor. 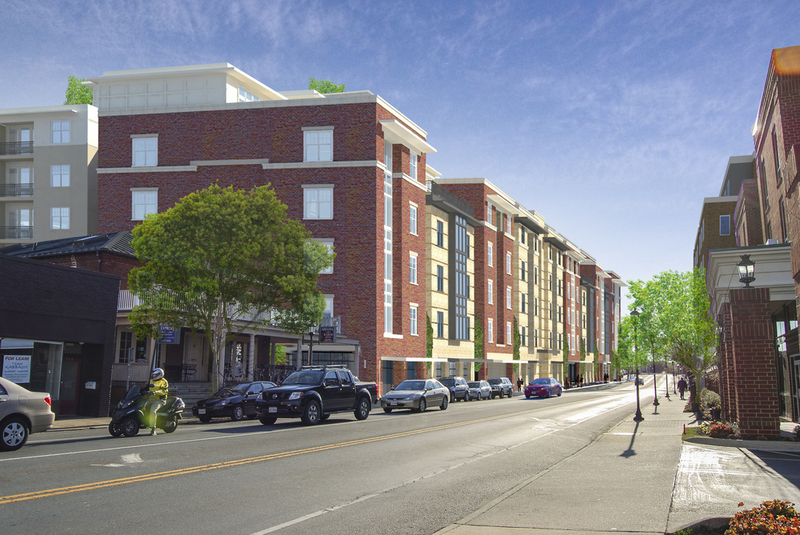 Our guests love the convenience of walking to the restaurants, just a few blocks away. There are about 20 restaurants on the West Main corridor that offer a variety of styles and pricing. A few blocks further down the West Main Corridor is the Main Street Market. There’s no better place in Charlottesville for gourmet one-stop shopping, and there’s no better lunch stop than the decadent Feast market. For barbecue and homemade Southern sides, the Red Hub Food Co. has a lunch counter two blocks from the inn. The Dinsmore House Bed and Breakfast is located on the east end of the University Corner District. 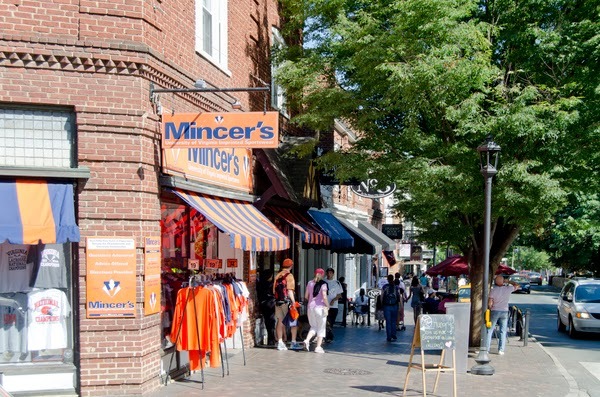 “The Corner” is the social center of the University of Virginia and provides visitors with an array of shops, restaurants and entertainment options. Walking due west from The Dinsmore, guests can enjoy lunch at dozens of cafes (we recommend Take it Away and Bodo’s Bagels) en route to a tour of Jefferson’s Academical Village at the Rotunda. For dinner, Michael’s Bistro fits the bill for a casual university pub. If your travels to Charlottesville include a visit to the University of Virginia Medical Center, there is not a more convenient place to stay than The Dinsmore. 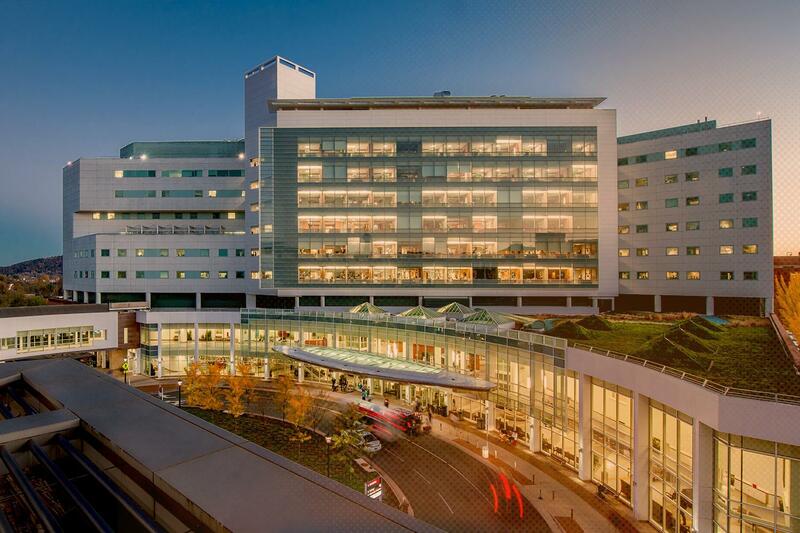 The Inn is located directly across the street from the UVA Children’s Hospital, and two blocks from the main hospital. Whether you are a patient, a relative, or are coming to the hospital for a job interview or training, we offer discounts for hospital-related stays during the week. 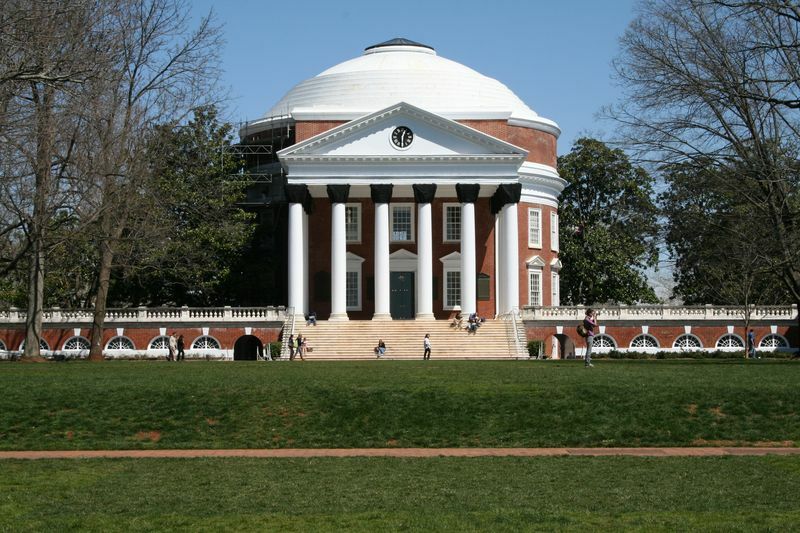 One of the joys of our location is our proximity to the University of Virginia. Over the years we have hosted proud parents, students visiting UVA, professors, guest speakers and affiliates. (And our inn is owned by a UVA alum.) Our inn is filled with familiar faces, and it’s been wonderful getting to know the guests that stay with us throughout the duration of their children’s college experience. It becomes an experience of their very own, and it’s always a sweet sorrow when those same guests stay with us for the last time when graduation day finally arrives. The Dinsmore offers a discounted rate for guests who are conducting business at the University of Virginia. For details, please inquire by email: info@dinsmorehouse.com. Of all of the reasons people choose to visit Charlottesville, our rich American heritage is at the top of the list. The Dinsmore is on the Virginia Register of Historic Buildings, and is the oldest building on Main St. Built by Thomas Jefferson’s master builder, James Dinsmore, in 1817. We love being one of the longest standing buildings in the area. James Dinsmore is very well known for his work at Monticello, Montpelier and the University of Virginia. 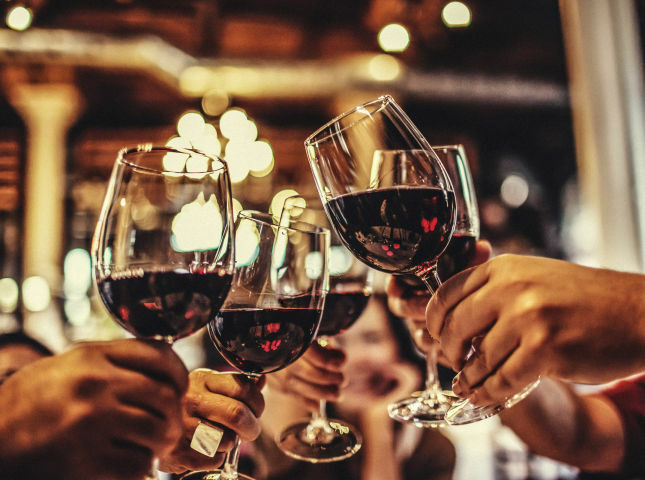 Wine is well-loved in Central Virginia. As the “Napa Valley of the East Coast”, dozens of vineyards are within close proximity of The Dinsmore: our prime location puts us in the center of all of the vineyards available for visits and tastings. When booking a stay with us, mention you’d like to visit wineries during your trip, and we’ll help you find a tour that suits your interest. Wine Tour services and itineraries are available upon request. 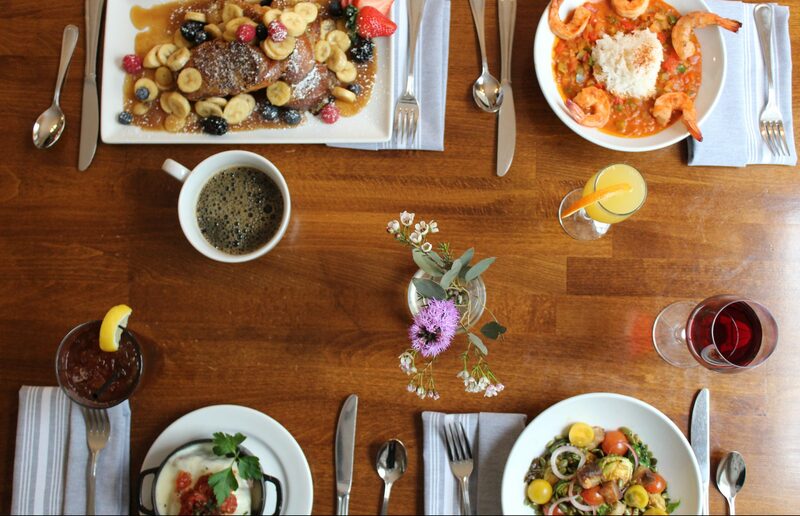 Charlottesville is filled with food lovers and robust flavors, and The Dinsmore has it’s own sister restaurant inside, Farm Bell Kitchen, and the inn is also within walking distance of dozens of unique restaurants. The Farmers Market runs every Saturday in the Historic Downtown Mall, where a collaboration of local farmers, vendors and crafters sell their wares. Ask us about cooking classes available to our guests in groups of 6 or more, within a couple blocks of the inn.